Turns jury duty into a photo shoot. We see Karlie Kloss in front of Law and Order Building in New York City wearing a long coat in plaid grey over black turtleneck teamed with coated black pants and orange-red ankle boots. The outfit is completed with rounded sunglasses and black leather shoulder bag. In love with Karlie’s wavy lob hairstyle. Do You have any thoughts about Karlie Kloss Wearing Plaid Grey Coat With Black Turtleneck And Black Pants? 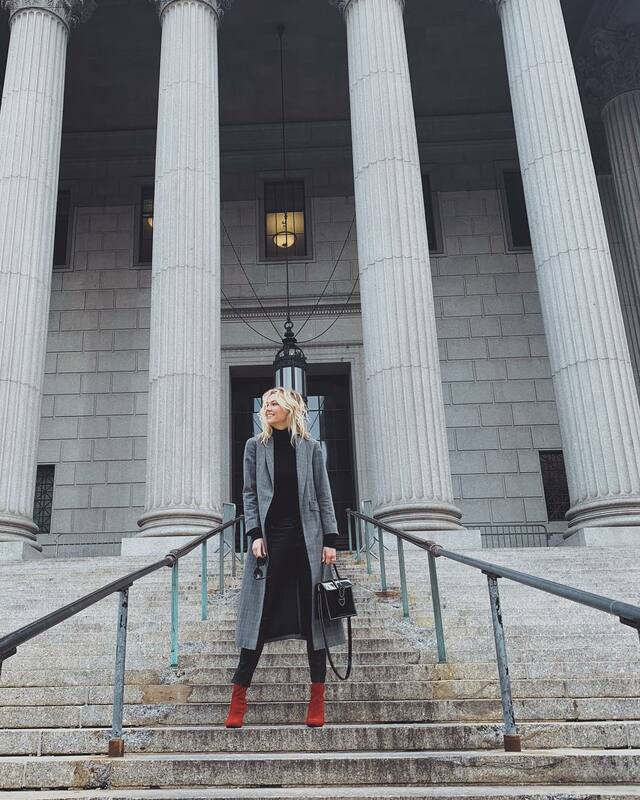 Here are Instagram Fashion pictures and trendy women’s outfits which are in style in 2019: Ankle Boots, Coats, Karlie Kloss, Law and Order Building, Sunglasses, Turtlenecks, Wavy Lob and tips on how to wear them on the streets.